People have been taking comfort in Honeywell technology for more than a hundred years. We've made air travel safer, road travel more efficient and helped put a man on the moon. Today our T5 smart thermostat means you can take comfort too knowing your home temperature will always be just how you like it. It's easy to install and use and it fits your lifestyle. So you can program it based on your schedule, or let it adapt to your life as plans change. It knows when you're on the way home and how long it takes your home to reach the right temperature, removing the guesswork, saving money on your energy bills. 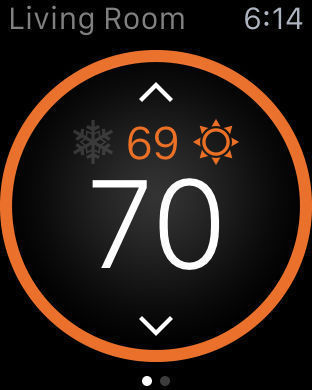 It knows if your home needs heating or cooling, keeping you and your family comfortable whatever the weather. And because it works with the latest smart technology including Apple Homekit and Amazon Echo you can control all your home comforts wherever you are, now and for years to come. 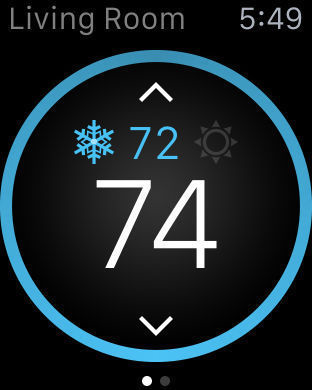 The Honeywell T5 smart thermostat. 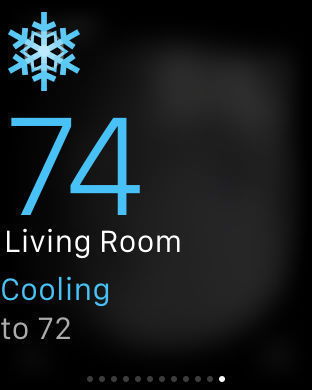 Honeywell's T5+ Smart Thermostat and the app on your iPhone or iPad ensure that your home temperature will always be just how you like it. Not only is it easy to set up straight out-of-the-box, it’s programmable to match your lifestyle. Create a schedule to suit your needs or let it adapt to your life as plans change using the automated location-based feature. You can control the T5+ plus from anywhere with your iPad or iPhone, providing maximum comfort and energy efficiency. *Visit yourhome.honeywell.com/rebates for more information. **Fan control dependent on wiring configuration. 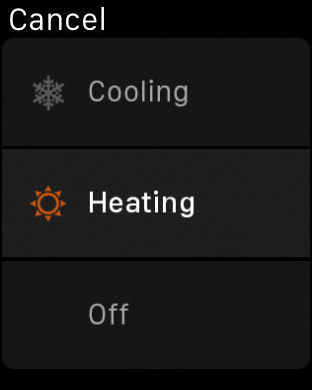 Will it control the humidifier on my furnaces? Honeywell Home connected products simplify home comfort, security and awareness by allowing easy control with a single app. Our heritage and experience in and around the home means you can trust each of our products to perform brilliantly and give you a smarter, more comfortable home. The T5 & T6 Smart Thermostats allow you to take comfo rt knowing your home temperature will always be just how you like it. They are easy to install and use and conveniently fit in with your lifestyle. The T5 & T6 Smart Thermostat is ENERGY STAR® certified and you can programme it based on your schedule, or let it adapt to your life as plans change with geofencing. Control the Smart Thermostats from anywhere simply by using your smartphone or tablet: or integrate into your smart home with Amazon Alexa, Google Assistant and Apple HomeKit support. With Honeywell’s Smart Thermostats, you can keep life simple and remove the guesswork, while ensuring maximum comfort when you're at home and saving you money on your energy bills. With Honeywell's indoor C1 Wi-Fi Security Camera, you can watch what's happening at home – anytime, anywhere. Versatile and easy to install, it also sends rapid notifications to your smart device if it detects unusual movement or sounds. 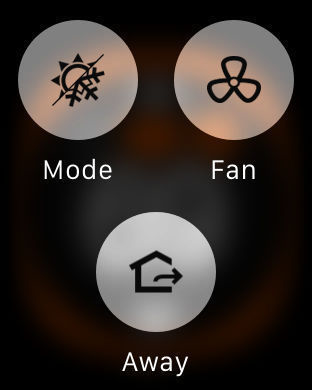 You can even combine multiple cameras through the same Home app to monitor your whole home yourself. So, if something happens when you're not there, you can see it and stop it. Honeywell's indoor C2 Wi-Fi Security Camera can recognise the difference between a crying baby and a smoke alarm, and sends a notification to your smart device if it hears either. It also lets you watch what's happening at home, anytime, anywhere, and can detect other unusual movements and sounds. Versatile and easy to install, you can combine multiple cameras through the same Home app to keep an eye on your whole home yourself. Now you can see more and hear more.